It is hard to believe that Moammar Gaddafi is dead and that the people of Libya have thrown off the shackles of his tyrannical dictatorship which caused them and the world so much grief. These are links and brief descriptions of the articles of this series. There have been revolts across the Middle East as oppressed people have risen up peacefully against their repressive governments only to be met with force. Egypt, Yemen, Bahrain, Libya and now Syria, each is rooted in history and each is different. Taken together they are inspiring others around the world. I have not written much on Yemen or Syria but expect in the coming weeks and months there will be plenty of opportunities to look at the history, culture and unique aspects of these revolts and their potential impact in the region and around the world. It is my belief that they are helping usher in a new age of revolution with results that will be as dramatic and important as the fall of Empires at the close of the First World War. Looking at each article you can see how my thought process has evolved as the situation has developed. Also a page update. I have updated the Middle East Page found in the top menu. Walk Like an Egyptian: The Egyptian Revolution and the Radicalization of the Middle East Published31 January 2011. An analysis of the probability of the radicalization of the Middle East as revolution spreads. The Beginning of Chaos in Egypt: Watching and Waiting as the Situation Deteriorates Published2 February 2011 as the situation began to deteriorate in Egypt as Mubarak loyalists attacked protesters in Tahir Squar. 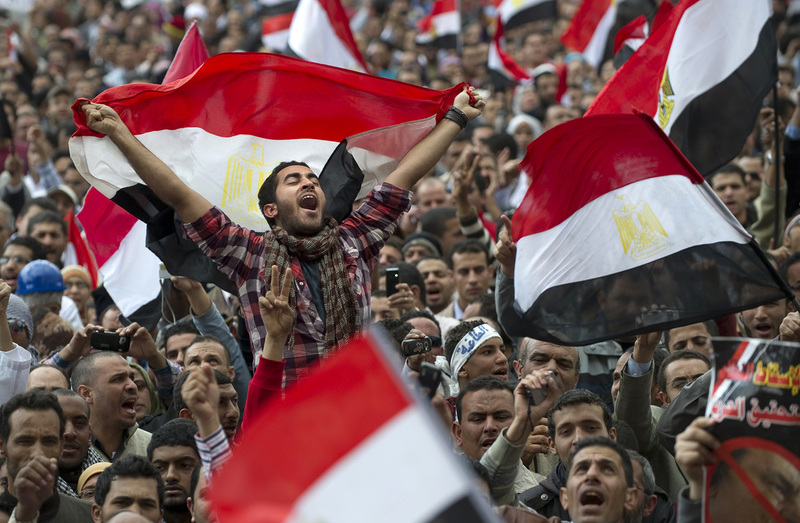 Egypt: As Mysterious as the Sphinx and as Dangerous as a Cobra….What Next? Posted11 February 2011. A continuation of my observations of the revolution in Egypt prior to the fall of Hosni Mubarak. Danger in the Arabian Gulf: The Fires of Protest Spread to Bahrain Posted18 February 2011. The article deals with the protests in Bahrain and my experiences and observations having traveled there many times. Damned if you do…Damned if you Don’t: The Middle East Protests and U.S. Foreign Policy Posted 19 February 2011. An examination of the difficulties facing U.S. Foreign policy officials in light of the recent spread of revolution in the Arab World. Göttdammerung in Libya: Shades of Hitler as Gaddafi Promises to Die as a Martyr Published 22 February 2011 Moammar Gaddafi promises “I am a fighter, a revolutionary from tents … I will die as a martyr at the end… I have not yet ordered the use of force, not yet ordered one bullet to be fired … when i do, everything will burn.” Moammar Gaddafi accurately predicts his death. The Guns of March Published 9 March 2011. “War is the unfolding of miscalculations” Barbara Tuchman Libya in the context of the broader Middle East and US Military capabilities. Gaddafi Taunts the West and Kills his People: Our inaction speaks so loud he can’t hear a Word that we are Saying Published 11 March 2011. The cost of inaction and the risks of making threats that you do not back up with force. When I wrote this I believed that if nothing was done that Gaddafi or terrorist organizations like Al Qaeda and others could turn this revolt into a regional war. Strike on Libya: The Unknown outcome of Operation Odyssey Dawn Published20 March 2011. The beginning of the NATO air campaign in Libya. Damned if you do and Damned if you Don’t: The Allied Intervention in Libya Published March 21st 2011. “War is the province of chance. In no other sphere of human activity must such a margin be left for this intruder. It increases the uncertainty of every circumstance and deranges the course of events.”- Karl von Clausewitz The opportunities and peril associated with the NATO intervention in Libya. Gaddafi’s Götterdämmerung: The End in Tripoli Published 21 August 2011. 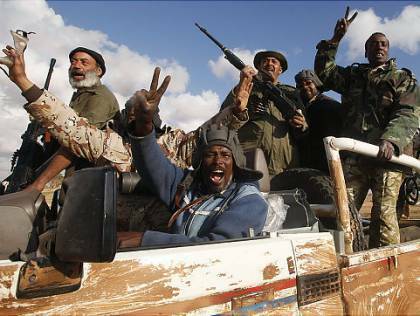 The fall of Tripoli, the Libyan Rebels drive out Gaddafi. The Promise and Peril of Revolutionary Times: A Warning From History Published 18 October 2011. Putting revolutions around the world in context. Gaddafi is Dead so what happens Now? Published 20 October 2011. 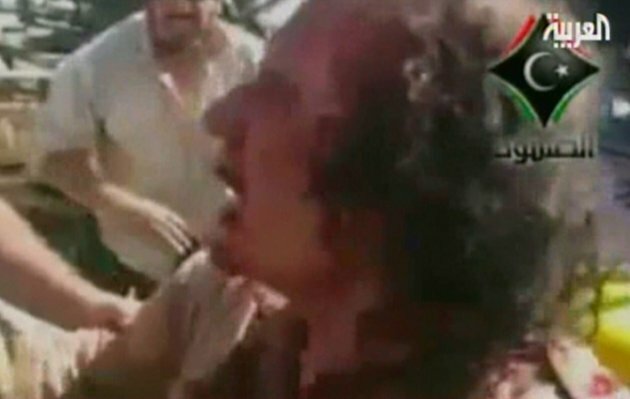 The death of Moammar Gaddafi and questions of what comes next. Why the Libyans were able to Overthrow Gaddafi and what We can learn from It: A Lesson from the work of T E Lawrence Published 21 October 2011 What NATO and theUnited States did right inLibya and a look at Middle East History.